We run a range of shorebased RYA Theory Courses. Including the intensive RYA Day Skipper Theory Courses, RYA DSC VHF Marine Radio and the RYA First Aid Course in Southend, Essex. These courses are essential for all water users and are suitable for Motor Cruising, Powerboat, Sailing, Yachts and Sea Kayaking. 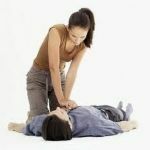 RYA instructors require the first aid to be updated every 3 years. We guarantee great quality at the most competitive price The courses are run at the Leigh on Sea Sailing Club and prices include tuition and course materials.